Eden was living in Murphysboro-IL 1933, when father died. [S910] B. Esther (Oviedo) Harn, "E.B. Harn Sheets, FHL film 1036595, # 203,208,209", Feb 1977 (18921 Knapp St., Northridge, CA 91324). Hereinafter cited as "E.B. Harn Sheets, FHL film 1036595." [S911] B. Esther (Oviedo) Harn, "E.B. Harn Sheets, FHL film 1036595, # 208,209", Feb 1977 (18921 Knapp St., Northridge, CA 91324). Hereinafter cited as "E.B. Harn Sheets, FHL film 1036595." Anna Marie Harn is the daughter of Eden Earl Harn and Kimmie Ione Snuggs. Diane Irene Harn is the daughter of Edward Thornton Harn and Francis Elizabeth Warren. 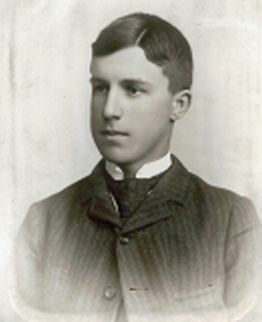 Charles Edward Harn is the son of Edward Thornton Harn and Francis Elizabeth Warren. Her married name was Sells. California Passenger Ship list has John Kenneth Sells and Lewis Ellis Sells arriving in San Francisco on 07Apr1930 from Manila-Philippines on the ship US Grant. It lists Lewis born in Denver on 29Mar1902, John born in Cripple Creek-Colorado on24Sep1899.3 Lewis Ellis was a Housewife. Letter from J.C. Sells dated 7-1951. Birth Certificate for daughter Ann, calculated birth as 1902. Her Social Security Number was 585-14-1390, issued in New Mexico. The Hudspeth's Santa Fe City Directory for 1967, 1968, lists Lewis Sells, widow of J.K. Sells, as retired, living at 423 Orchard Drive, apartment 3. The Hudspeth's Santa Fe City Directory for 1969, 1970, lists Lewis Sells, retired, as living at 423 Orchard Drive, apartment 3. The Hudspeth's Santa Fe City Directory for 1980, lists Lewis E. Sells, retired, living at 663 Washington Ave., Apt 51, El Matador Apartments. In the 1981 Directory, there is someone else living in Apartment 51. The Hudspeth's Santa Fe City Directory for 1966, lists Lulu Sells, widow of J.K. Sells, living at 423 Orchard Drive, Apt 3. The Hudspeth's Santa Fe City Directory for 1970, lists Mrs. Sondra Sells, living at 1920 W. Alameda St.
Was unable to locate an obituary for Lewis Sells in The New Mexican, the Santa Fe daily newspaper. Checked September 13-30, 1983 with no success. The microfilm for September 1,12 1983 was not on the roll. A search application for the death record at the New Mexican Department of Health for Lewis Sells, was rejected. For privacy reasons, information is only released to members of the immediate family. [S914] Lewis Ellis, unknown file number, Social Security Death Index (b- 29Mar1902 d- Sep1983), unknown series (n.p. : n.pub.). Ancestry.com. California, Passenger and Crew Lists, 1882-1957 database on-line. Provo, UT, USA: Ancestry.com Operations Inc, 2008.. Hereinafter cited as California, Passenger and Crew Lists, 1882-1957. Source Citation: Year: 1940; Census Place: Ninth, Catoosa, Georgia; Roll: T627_648; Page: 1A; Enumeration District: 23-8. Ann Carolyn Sells is the daughter of Col. John Kenneth Sells and Lewis Ellis. Ann Carolyn Sells married Joseph Russell Kern. Ancestry.com. U.S. Cemetery and Funeral Home Collection database on-line. Provo, UT, USA: Ancestry.com Operations Inc, 2011. Original data: See source information provided with each entry.. Hereinafter cited as Sonya Sells Withers Obituary.
. Hereinafter cited as U.S. City Directories, 1821-1989 (Beta). Ancestry.com. U.S. Public Records Index, Volume 2 database on-line. Provo, UT, USA: Ancestry.com Operations, Inc., 2010. The U.S. Public Records Index is a compilation of various public records spanning all 50 states in the United States from 1950 to 1993. Entries in this index may contain the following information: name, street or mailing address, telephone number, birth date or birth year.. Hereinafter cited as U.S. Public Records Index, Volume 2. Alice Summers at age 14 years old, taken at South Bend, Indiana. 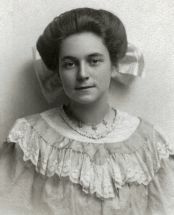 Alice Summers taken in 1896 at South Bend, Indiana. [S916] Timothy Edward Howard, History of St Joseph Co , Indiana, 1907, page 778-779 (Chicago, Illinois: Lewis Publishing Co., 1907). Hereinafter cited as History of St. Joseph Co., Indiana. Delbert Shimp take at South Bend, Indiana. Delbert Shimp was born circa January 1873 at Indiana.1 He was born on 25 January 1873 at St. Joseph Co., Indiana.2 He was the son of John M. Shimp and Sara Josephine Longley. Delbert Shimp married Elenor Dell Chearhart on 31 October 1895 at South Bend, St. Joseph Co., Indiana.3 Delbert Shimp died on 22 March 1947 at St. Joseph Co., Indiana, at age 74.4 He was buried at Saint Joseph Valley Memorial Park, Granger, St. Joseph Co., Indiana. Census 1920 Harris Twsp., St. Joseph Co., Indiana, E.D. 192, sheet 3. [S918] Unknown household, census, 35 North West Temple St., Salt Lake City, Salt Lake Co., Utah, Family History Library:. Source Citation: Registration Location: St Joseph County, Indiana; Roll: 1653193; Draft Board: 0. Ancestry.com. World War I Draft Registration Cards, 1917-1918 (database on-line). Provo, UT, USA: The Generations Network, Inc., 2005. Original data: United States, Selective Service System. World War I Selective Service System Draft Registration Cards, 1917-1918. Washington, D.C.: National Archives and Records Administration. M1509, 4,582 rolls.. Hereinafter cited as World War I Draft Registration Cards, 1917-1918. [S917] Marriage Record Index, St Joseph Co , South Bend, Book 14 page 347, unknown repository, unknown repository address. [S1886] Funeral Notes, The South Bend Tribune Newspaper (Indiana), South Bend, Indiana, 19 Aug 1935, Section 2, page 6, The South Bend Tribune Newspaper (Indiana), Monday 19 Aug 1935, Section 2, page 6.. Hereinafter cited as The South Bend Tribune Newspaper (Indiana). Her married name was Harn. Barbara Covey lists Ruth born 18Dec1896 in Nebraska. [S919] B. Esther (Oviedo) Harn, "E.B. Harn Sheets, FHL film 1036595, # 61-62", Feb 1977 (18921 Knapp St., Northridge, CA 91324). Hereinafter cited as "E.B. Harn Sheets, FHL film 1036595." [S2268] Find a Grave Inc., Find a Grave, database and images (: accessed Mar 2014), Ruby Helena Harn (1895-1970) gravestone photograph, memorial no. 74299597, Oak Park Cemetery, Claremont, Los Angeles Co., California, photograph © Parker Emerson, 2014. [S638] B. Esther (Oviedo) Harn, "E.B. Harn Sheets, FHL film 1036595, # 61-63", Feb 1977 (18921 Knapp St., Northridge, CA 91324). Hereinafter cited as "E.B. Harn Sheets, FHL film 1036595." Source Citation: Year: 1940; Census Place: Galesburg, Knox, Illinois; Roll: T627_826; Page: 61B; Enumeration District: 48-17. Lola Fern Woods was born on 6 February 1898 at Fulton Co., Illinois. She was the daughter of Ralph Woods and Laura (?) Lola Fern Woods married Thomas Eveland Harn, son of Charles Wesley Harn and Katherine Belle Eveland, on 20 March 1921 at Fulton Co., Illinois. Lola Fern Woods died on 17 February 1972 at Fulton Co., Illinois, at age 74. Her married name was Harn. E.B. HARN Sheets lists first name as Lois. SOURCE: Barbara (Harn) Covey letter of June 1995, name of 'Lola". Barbara Lee Harn Covey worked at a small community newspaper while attending college in the 1940s. She later edited a newspaper at Norton Air Force Base and served as an adviser of a high school newspaper. At age 81, she is not finished with journalism. Covey and 13 others have been selected to serve on The Sun's fourth Reader Advisory Board. These community members come from many backgrounds. "The purpose of the Reader Advisory Board is to better connect with our readers,' said The Sun's Editor Steve Lambert. "This is our opportunity to pick their brains, get their feedback on what's happening in their communities and what's happening in their lives, and how we can better report on that,' he said. Readers are diverse in terms of ethnicity and age and live in different areas of San Bernardino County. They will serve for a one-year period, attending meetings every two months. The first meeting is set for Aug. 11. Additionally, each reader will be assigned to an editor and get a chance to provide feedback. Covey said serving on the advisory board is like doing community service. She read with interest coverage of alluvial fans in the county because she said she knows the potential hazards. A 1954 landslide on the Rancho Palos Verdes peninsula, where she lived, killed some of the children at the school where she taught. Barbara Lee Harn's email address barbarac24@yahoo.com in January 2009. COVEY, Barbara Lee Harn A longtime teacher in the Palos Verdes Peninsula School District, died Oct. 2, 2012, in Torrance. Born in Galesburg, Ill., on May 24, 1924, she received her BA from Pomona College in 1945 and MA in education from USC. She began her career in Palos Verdes schools in 1959 and retired in 1988 after teaching English and journalism at Miraleste High School for nearly two decades. She volunteered at the Peninsula Seniors writers' group, contributed articles to the Daily Breeze and wrote two books, "The Legend of Cushetunk" (1993) and "Rebecca Kellogg Ashley, 1695-1757. From Deerfield to Onaquaga" (2008). Her husband of nearly 50 years, Gerald Covey, died Sept. 6, 1997. She is survived by her sister, Patricia Harris; four children, Margaret, Carol, Richard and Lawrence Covey; and four granddaughters, Megan Dupont and Sara, Rachel and Angelina Covey. A memorial reception to celebrate her life will take place at 2 p.m. Saturday, Nov. 24, at St. Peter's by the Sea Presbyterian Church in Rancho Palos Verdes. In lieu of flowers, donations may be made "In memory of Barbara Covey" to Historic Deerfield Descendants, PO Box 321, Deerfield, MA 01342. Barbara Lee Harn Covey, a longtime teacher in the Palos Verdes Peninsula School District and an occasional contributor to the Daily Breeze, gently passed away on October 2, 2012, at Torrance Memorial Hospital. Barbara was born in Galesburg, Ill., on May 24, 1924, to Ruby and Jerry Harn. After graduating from Pomona College in 1945, she married her husband of nearly 50 years, Gerald Covey, in 1949; and, after earning her master's degree in education from U.S.C., she began her teaching career at Lunada Bay Elementary School in 1959. Barbara taught English and journalism at Miraleste High School for nearly two decades and "retired" in 1986. Still, Barbara's love of the written word continued. She volunteered to teach at the local writers' group, contributed a number of articles to the Daily Breeze, and became a published author of The Legend of Cushetunk (1993) and Rebecca Kellogg Ashley. From Deerfield to Onaquaga (2008). Barbara is survived by her sister, Patricia Harris; her four children, Margaret Covey, Carol Covey, Richard Covey and Lawrence Covey; and her granddaughters, Megan Dupont, Sara Covey, Rachel Covey and Angelina Covey. Former students, colleagues, and friends are welcome to a memorial service to celebrate her life on Saturday, Nov. 24, at 2 p.m. at St. Peter's by the Sea Presbyterian Church in Rancho Palos Verdes. In lieu of flowers, her family asks those touched by her death to make a contribution "In memory of Barbara Covey" to Historic Deerfield Descendants, PO Box 321, Deerfield, MA 01342. Please sign the guest book at www.dailybreeze.com/obits. [S921] B. Esther (Oviedo) Harn, "E.B. Harn Sheets, FHL film 1036595, # 62,63", Feb 1977 (18921 Knapp St., Northridge, CA 91324). Hereinafter cited as "E.B. Harn Sheets, FHL film 1036595." [S2080] Barbara Lee Harn Covey Obituary, Los Angeles Times Newspaper, http://www.legacy.com/obituaries/latimes/obituary.aspx?page=lifestory&pid=161085067#fbLoggedOut, 18 Nov 2012, n/a. Hereinafter cited as Los Angeles Times Newspaper. Patricia Marilyn Harn married Robert Harris. Patricia Marilyn Harn is the daughter of Jerry Anson Harn and Ruby Helena Hulvey. Gerald Lambert Covey was born on 6 April 1922 at Seattle, King Co., Washington.1 He was born on 6 April 1922 at Portland, Multnomah Co., Oregon. He was the son of Elmer Nathan Covey and Margaret Julia Vick. Gerald Lambert Covey married Barbara Lee Harn, daughter of Jerry Anson Harn and Ruby Helena Hulvey, on 10 April 1949 at Universal Methodist Church, Los Angeles, Los Angeles Co., California.2 Gerald Lambert Covey was baptized in 1950 at Universal Methodist Church, Los Angeles, Los Angeles Co., California.3 He died on 6 September 1997 at Los Angeles Co., California, at age 75. Gerald Lambert Covey was a Presbyterian. Gerald a Personnel Manager at the Space/Manufacturing Division of Hughes Aircraft, in El Segundo - California. He lived in June 1995 at 2742 San Ramon Dr, Rancho Palos Verdes, Los Angeles Co., California. [S923] B. Esther (Oviedo) Harn, "E.B. Harn Sheets, FHL film 1036595, # 62-63", Feb 1977 (18921 Knapp St., Northridge, CA 91324). Hereinafter cited as "E.B. Harn Sheets, FHL film 1036595." Carol Catherine Covey is the daughter of Gerald Lambert Covey and Barbara Lee Harn. Lawrence Gerald Covey married Ruth Wickramarantra. Lawrence Gerald Covey is the son of Gerald Lambert Covey and Barbara Lee Harn. Her married name was Harn. She lived in 1995 at Canton, Fulton Co., Illinois. LEWISTOWN - Audrey D. Harn, 87, of Prairie View Care Center died there at 11:10 p.m. Monday, Dec. 2, 2002. She was born Jan. 14, 1915, in Tower City, N.D., to Fred H. and Jessie May Soash Kanouse. Surviving are two sons, Charles (and Bonnie) and Alan (and Elny), both of Canton; six grandchildren; eight great grandchildren; and one sister, Verna Overstake of Brighton, Colo. She was a licensed practical nurse at Methodist Medical Center in Peoria before retiring. She was a member of the Methodist Medical Center Retirees Club and a former member of the Lewistown Senior Women's Club. She was a member of Lewistown United Methodist Church and a former member of its Mary & Martha class. Services will be at 11 a.m. Friday at Henry-Lange Memorial Home, where visitation will be one hour before. The Rev. Terry Westerfield will officiate. Burial will be in Oak Hill Cemetery. Copyright (c) 2002 The Peoria Journal Star, Inc.
[S640] B. Esther (Oviedo) Harn, "E.B. Harn Sheets, FHL film 1036595, # 61,71-73", Feb 1977 (18921 Knapp St., Northridge, CA 91324). Hereinafter cited as "E.B. Harn Sheets, FHL film 1036595." [S1693] Unknown article title, Peoria Journal Star Newspaper, Peoria, Illinois, 04 Dec 2002, B05. Hereinafter cited as Peoria Journal Star Newspaper. [S925] B. Esther (Oviedo) Harn, "E.B. Harn Sheets, FHL film 1036595, # 71,72", Feb 1977 (18921 Knapp St., Northridge, CA 91324). Hereinafter cited as "E.B. Harn Sheets, FHL film 1036595." [S926] B. Esther (Oviedo) Harn, "E.B. Harn Sheets, FHL film 1036595, # 71,73", Feb 1977 (18921 Knapp St., Northridge, CA 91324). Hereinafter cited as "E.B. Harn Sheets, FHL film 1036595." Ruth Ann Spainhour is the daughter of John Cecil Spainhour and Florence Jones.1 Ruth Ann Spainhour married Alan Duane Harn, son of Charles Albert Harn and Audrey Devere Kanouse, on 4 May 1963 at Illinois.2,1 Ruth Ann Spainhour and Alan Duane Harn were divorced. [S927] B. Esther (Oviedo) Harn, "E.B. Harn Sheets, FHL film 1036595, # 35", Feb 1977 (18921 Knapp St., Northridge, CA 91324). Hereinafter cited as "E.B. Harn Sheets, FHL film 1036595." Census 18 April 1910 Frederick Twsp., Schuyler Co., Illinois, In the 1910 Federal Census, Stephen Harn listed as 45 years old, born in Illinois, married 24 years, farmer, enumerated with his wife and 6 children. [S928] B. Esther (Oviedo) Harn, "E.B. Harn Sheets, FHL film 1036595, # 35,37,38,43-45", Feb 1977 (18921 Knapp St., Northridge, CA 91324). Hereinafter cited as "E.B. Harn Sheets, FHL film 1036595." "Illinois Deaths and Stillbirths, 1916–1947." Index. FamilySearch, Salt Lake City, Utah, 2010. Index entries derived from digital copies of original records., http://www.ancestry.com, unknown repository address. Hereinafter cited as Illinois, Deaths and Stillbirths Index, 1916-1947.